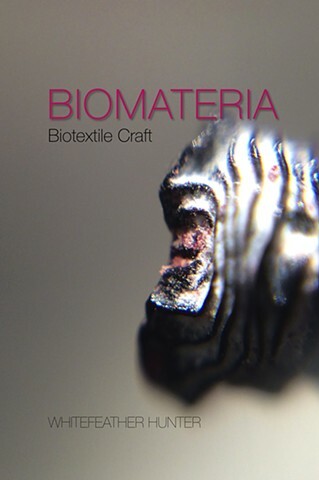 Biomateria; Biotextile Craft contains off-the-shelf protocols for tissue engineering work, including for biotextile production. Additionally, the book contains images by the artist, of tools, process objects and works presented in the exhibition. A glossary of technical and invented terminology is included, as well as philosophical propositions. This book is meant as an entry point for artists and others interested in exploring the world of BioArt/ tissue culture. Find a free, readable online version of the entire book here.